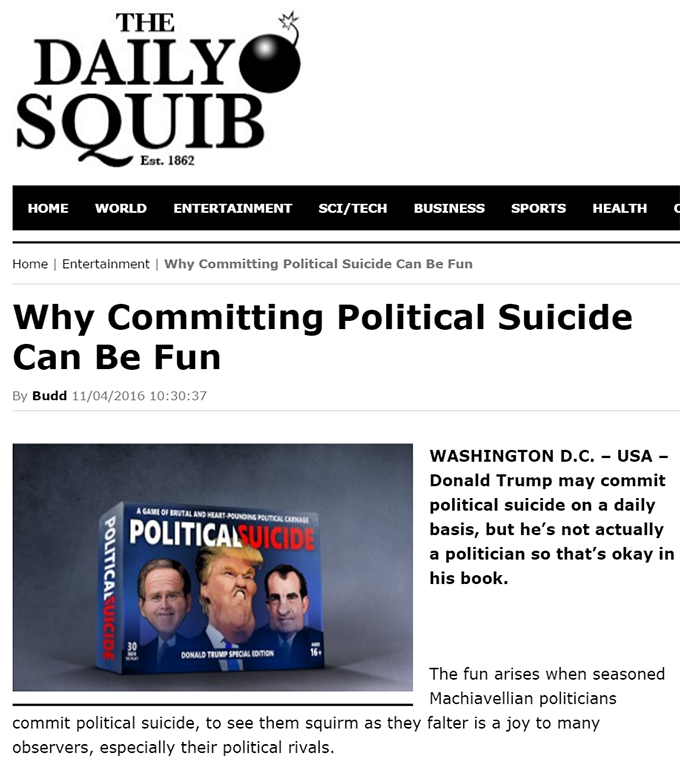 What Even Is Political Suicide? 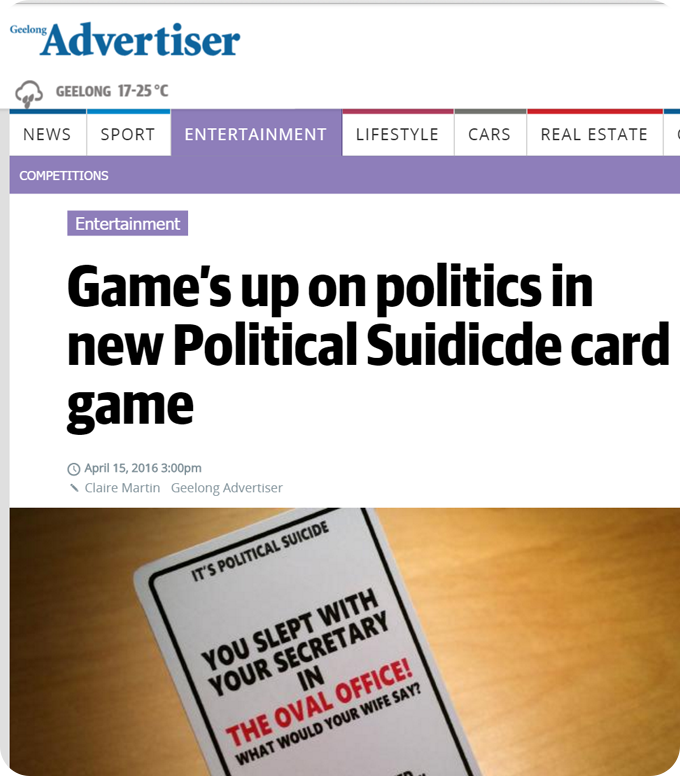 Political Suicide is the most aggressive card game on the planet, where players struggle to avoid the greatest suicides of our time while bringing down the political opposition. Check out our Polls page in the menu above and have your say! Results published regularly. What Is This Card Game? 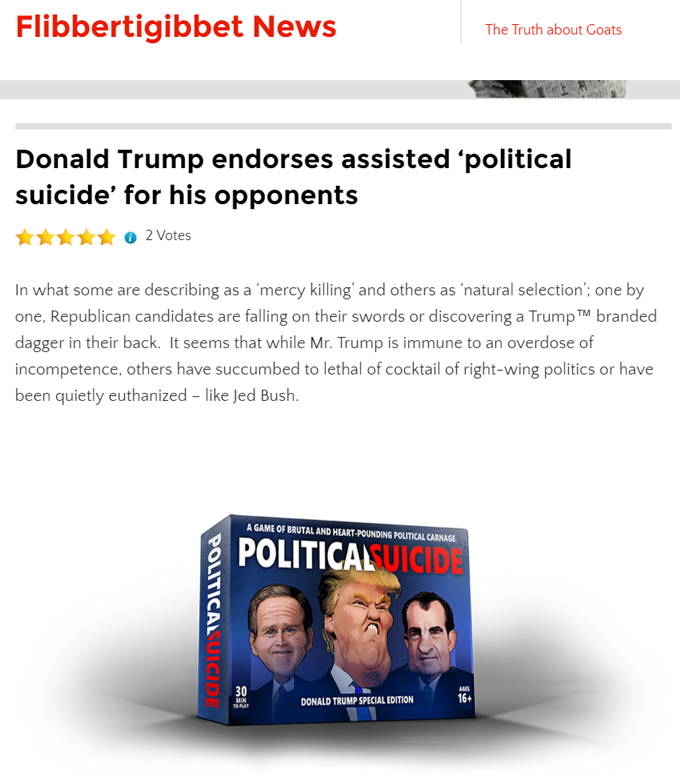 Political Suicide is the most aggressive card game on the planet featuring the most politically suicidal politician alive, Donald Trump!